April 22, 2019 in Aktualitet // S-300, Izraeli kërcënon Rusinë! US Republican Senator Rand Paul has warned Secretary of State Mike Pompeo about going to war with Iran, reminding him that he has no “permission” to do so. According to Press TV, the Kentucky lawmaker suggested Wednesday that the Trump administration might be preparing to take military action against Iran. Pompeo appeared on Capitol Hill to defend the Trump administration’s budget request for fiscal year 2020. The hawkish US politician also repeated Washington’s baseless claims that Tehran has ties with terrorists. “There is a connection between the Islamic Republic of Iran and al-Qaeda. Period, full stop,” Pompeo claimed, referring to the terrorist group behind the September 11 attacks. 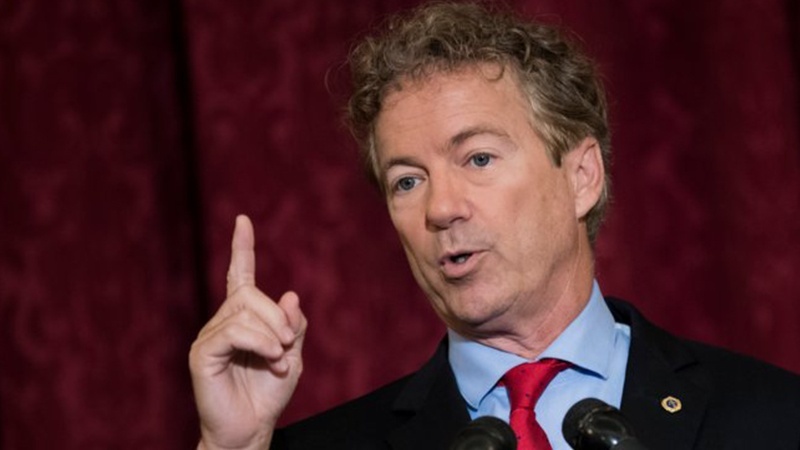 “You do not have our permission to go to war in Iran,” Paul shot back. According to the 2001 law, the country has the authority to strike terrorists who attacked the United States on September 11. Paul suggested that the recent decision by the administration to falsely designate Iran’s Revolutionary Guards Corps a foreign terrorist organization is part of an attempt to prepare for war with Iran. Iranian Foreign Minister Mohammad Javad Zarif has defended the Islamic Revolution Guards Corps (IRGC), saying the country will not allow “outlaw bullies” to undermine the sacrifices of the force. “Daesh would’ve held two Arab capitals & fielded a Terrorist Army on Europe’s doorstep had #IRGC not fought alongside brave peoples of Iraq & Syria,” added the tweet.